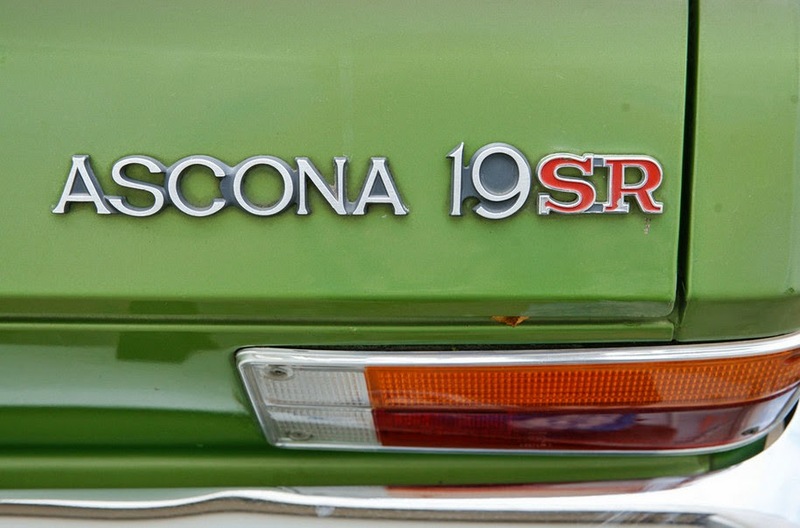 On offer is one brand new "Ascona" script boot lid badge, this type is held in place by two raised spigots which will mate with pre-drilled holes in the bodywork when fitted with tiny plastic inserts. The part numbers for this item are 8 968 927 and 3459304. It took me a little research, but as can be seen from the pictures below, this type of boot lid badge was used on the Ascona A series produced from 1970-75. If you have a vehicle of this vintage you may be interested to hear that I also have a new matching "19" badge and a number of used versions of the "SR" script too. This is truly a rare badge for what has also become a rare car. As this is new old stock, they are in excellent condition, just the thing to add the icing on the cake to your restoration, or to replace missing or damaged trim. Reasonably priced at £7.50, which includes recorded delivery costs within the UK. I can send to some European / North American locations too, but please ask for a quote first. 31/05/15 - One badge has now sold, just one left in stock. Hello do sale this badges again this time? How much is it to sent the parts to Germany?